It might have been last year that I suddenly decided to jump on the white eyeliner bandwagon. After all, who doesn’t want brighter, fresher looking peepers? This was a purchase that seemed like a good idea at the time, but in the end I use it for a different purpose than what I originally bought it for, which kind of defeats the purpose of having bought it, but at least I found another use for it. The very first thing I noticed about it is that it is super creamy. Like, really. So while you can use it to highlight the browbone and it will blend really well, leaving a gorgeous sheen, you also lose a ton whenever you go to sharpen it. That is one reason I do not use it often. 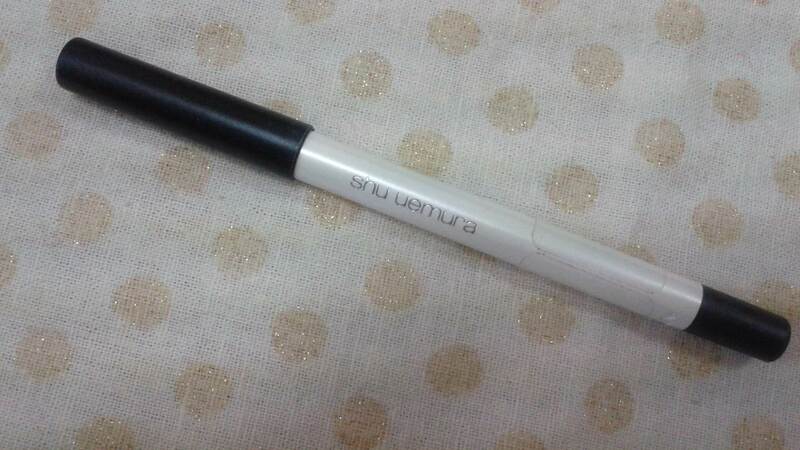 I’m not in a hurry to finish it when it was so expensive (as Shu Uemura products tend to be). 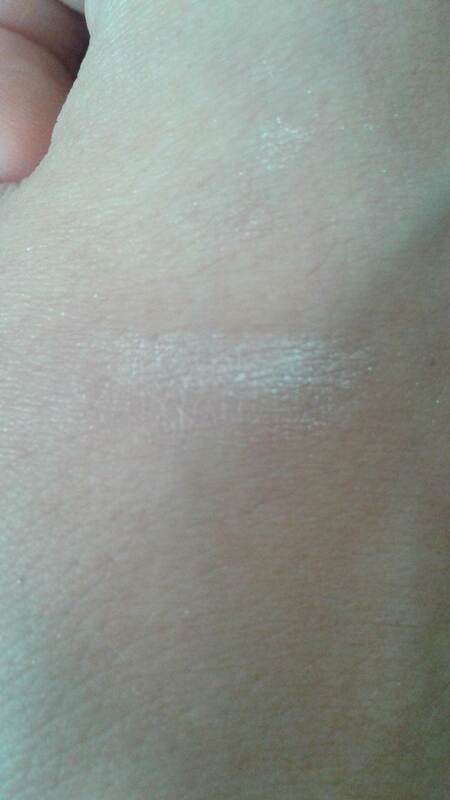 The creamy texture I find, makes it very unsuitable for the waterline, which is why I actually bought it in the first place – I wanted to take out redness from that area and the trend for white on the waterline or just below it comes around every few months or so. 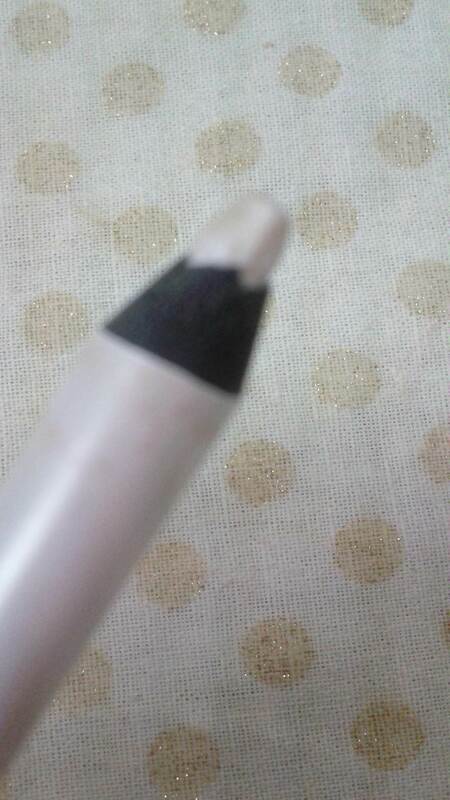 However, this eyeliner applies really patchily (on me at any rate) so it is quite useless on the waterline, and even to use just under the bottom lashes, the end result is not very pretty. So what do I use it for then? I find it works best as a brow highlight. 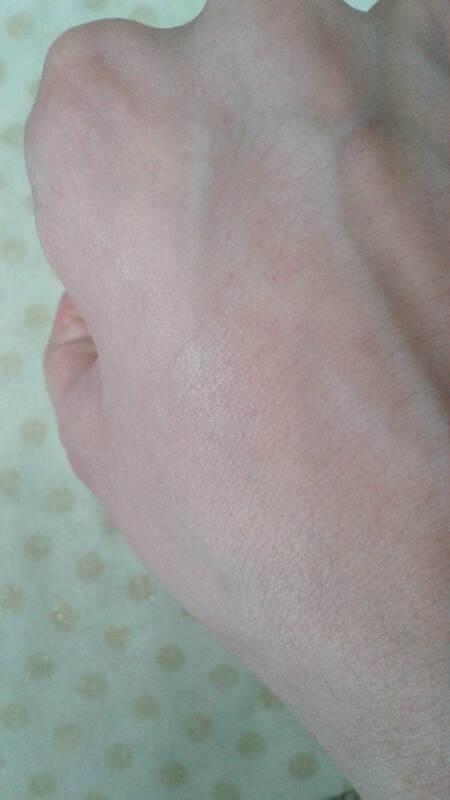 Just a few strokes of product and then blend with your finger, and it leaves quite a beautiful sheen. On the tear duct area it doesn’t work quite as well, but I do apply it there sometimes too. I will most definitely not be repurchasing this item. Do I regret buying it? Well, yes, a little. But then again if I hadn’t bought it then I would never have known, and now I do. As far as I’m concerned, eyeliner pencils don’t need to be expensive. Drugstore ones are perfectly fine, and that leaves me with more pennies to spend on other products where I do think they’re worth the price. I hope this review helped. 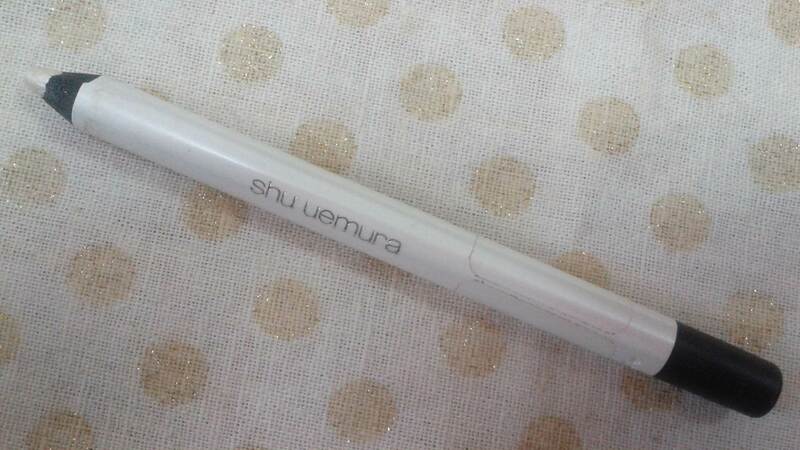 I would love to hear your experiences of Shu Uemura pencils if you have tried them before, or, if you are a fan of the white eyeliner look, I’d love to know what products you use to achieve it. Hoping all of your beautiful people are having truly wonderful summer hols! Here it is with its top off – pardon my French. 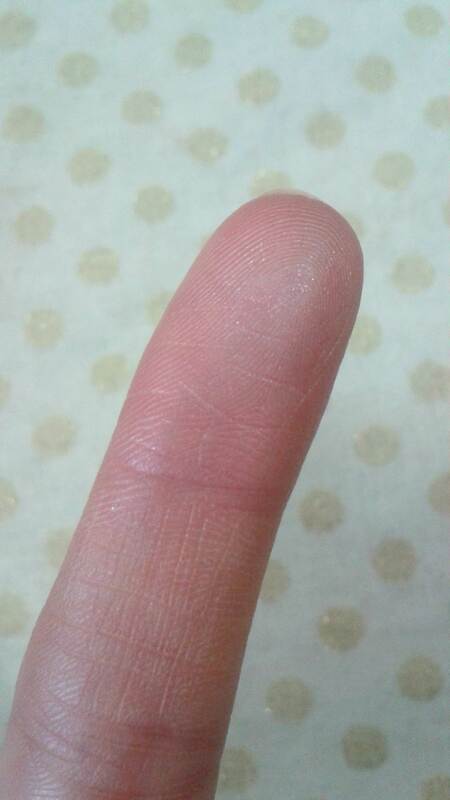 You can see visible glitter particles – perhaps part of the reason for such patchy application. Blended out however, it gives a nice sheen. Too bad it didn’t work out. I’m actually intrigued by the sheen it leaves. I would definitely use it as a highlighter too. I think I will check it out on my next trip to a cosmetic counter. Ooh on your cheekbones! That sounds like a great idea! But mine is just a wee one, ha ha. Hi, pen pal!!! ❤ LOL!! jk! WOW! That's so cool. You should!! Haha. It would def be a nice side business if you ever needed one! ha! Let me know if that ever happens. =) I hope you are doing well in your side of the world! !